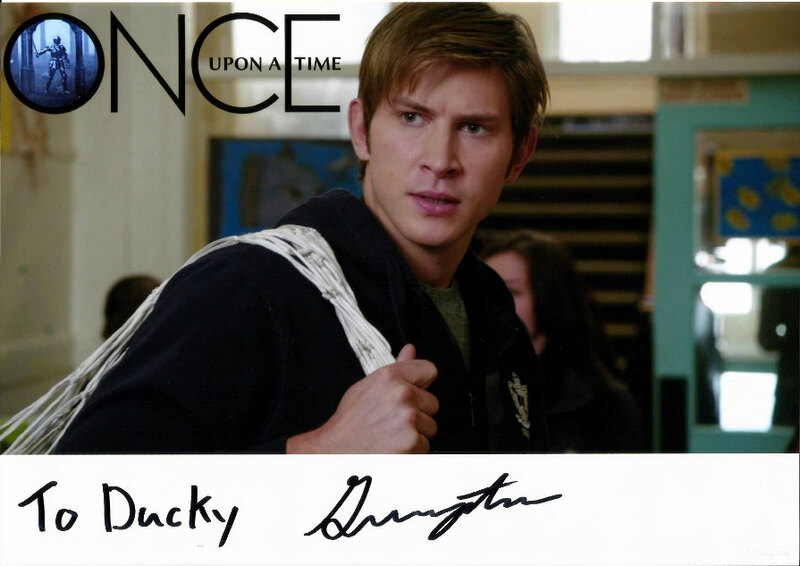 ONCE UPON A TIME - duckys-autograph-worlds Webseite! 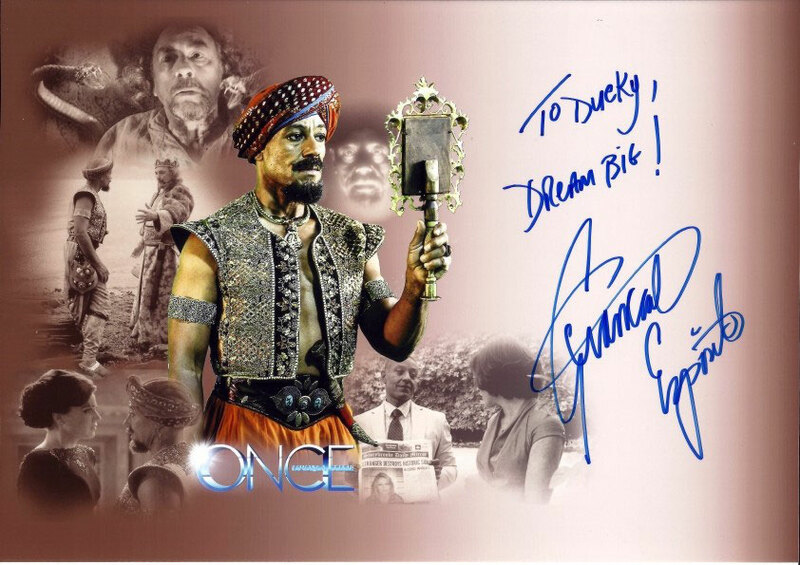 I fetched this autograph personally at the Weekend of Horrors 2013. Tony Amendola really is a nice and likeable man, I would love to meet him again at one of the conventions I prefer, like FedCon or Trek-Gate to your Star (The Weekend of Horrors was nothing I enjoyed very much). He was very moved by the picture and asked if I made it myself. When I said yes, he showed the picture to Parker Stevenson, who sat next to him. Both of them really liked it and Parker Stevenson asked me if I was an artist. I answered no, I'm just a fan doing some fan art. However, judging me by my work, they insisted that I must be an artist. I became a little embarrassed and told them so, but they insisted, that I did not need to be modest about this, on the contrary I should be proud. And next time if anybody asks me whether I am an artist, I should answer with "yes". I have to say, this really made my day. 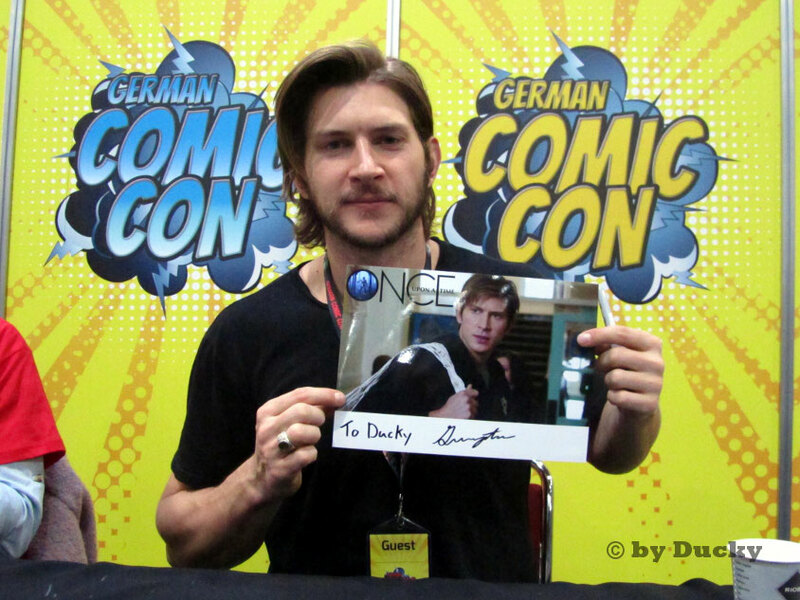 I fetched this autograph personally at the Dutch Comic Con on March 29th, 2015. "Great job!" Giancarlo Esposito said about my template. Kristin asked my friend Irina, whowas the one before me in the queue and she had the same template, where she got the pictre from and Irina said that I made it. Kristin called it "awesome" and said that she really liked it. I fetched this autograph personally at the German Comic Con Dortmund on December 2nd, 2016. Greyston is a nice guy, he chated with every fan who came to his table and seemed to be really interested. Aster shaking my hand he asked fpor my name and where I came from (the name of my hometoen gave him spme trouble). We chatte d a bist more, than he finally signed my template, notwithout asking where on the picture I wanted him to sign. I fetched this autograph personally at the FACTS in Gent on September 29th, 2018.